This FMP 280-1564 digital receiving scale is the perfect way to ensure that you receive the food you pay for! This scale boasts a 400 lb. 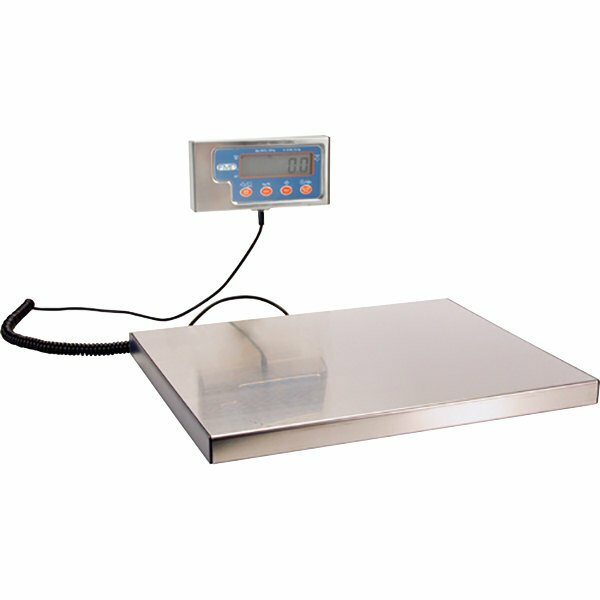 capacity and a stainless steel 12" x 15" platform for weighing all of your incoming goods, while the remote digital display makes it easy to mount your readouts in the most convenient location. The scale has a tare function for quickly weighing items in a container, and it displays in either pounds, pounds / ounces, or kilograms. Since it can withstand temperatures between 14 and 122 degrees Fahrenheit, this scale is suitable for a wide range of work environments, and it comes with everything you need to get started, including an AC adapter, (4) AAA batteries, a wall mounting bracket, and a printer cable. 400 lb. x 5 oz. 181 kg. x 0.1 kg.